Provides data redundancy, security and utilization of the BDAP protocol using a network of rewarded nodes. Sequence supports BDAP applications created by Duality & third-party developers, also providing data redundancy of BDAP entries and timestamp verification for Dynamic. 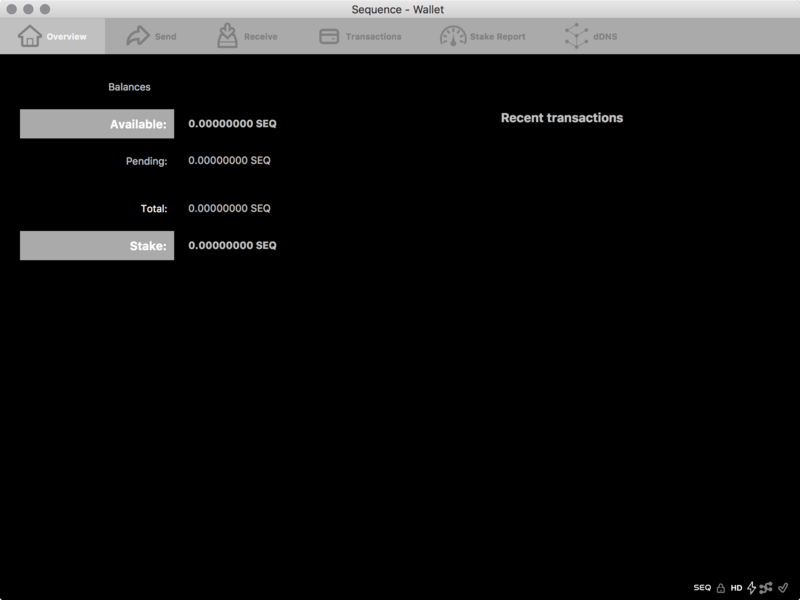 Users of Sequence can utilize BDAP applications via the use of atomic swaps, receiving static Proof-of-Stake (PoS) rewards in exchange for supporting the BDAP protocol, applications, blockchain and network. Select the version of Sequence based on your CPU and OS type. Chat with our team about how Duality can help your organization. All rights reserved. Copyright © 2018-2019 Duality Blockchain Solutions LLC.